Even though I've lived it Manchester for nearly 7 years now, I'm still finding places I haven't been to before. I have an ever growing list of places I need to venture to and I'm very slowly ticking them off one by one. Walrus is one of those places. 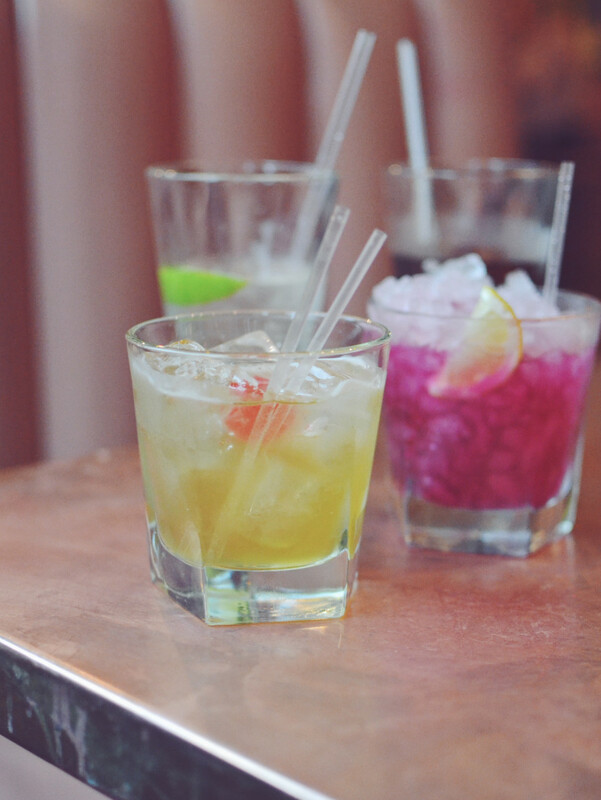 I've popped in there for a cocktail on a night out before but I've never tried the food out, their new menu launched a few weeks ago and we were lucky enough to be able to get a sneak preview. 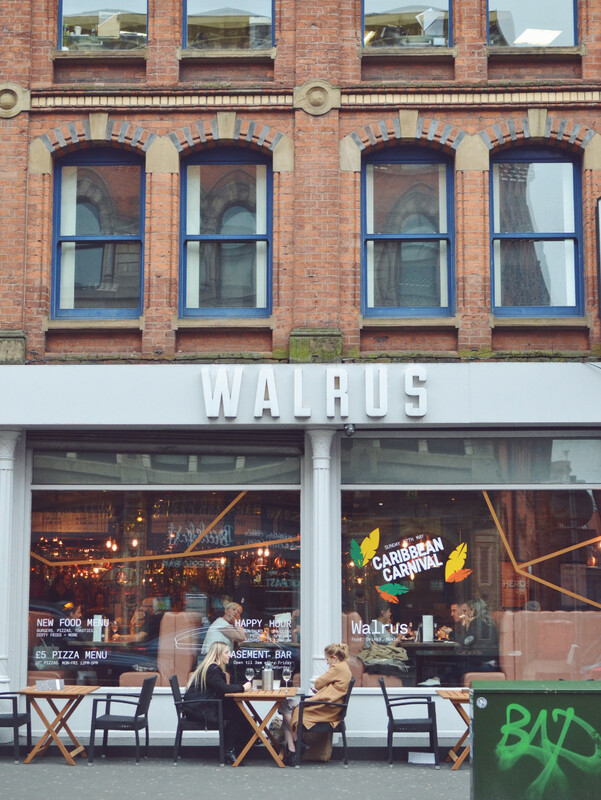 If you haven't spotted Walrus before, it's nestled in the Northern Quarter not far from The Arndale in Manchester. 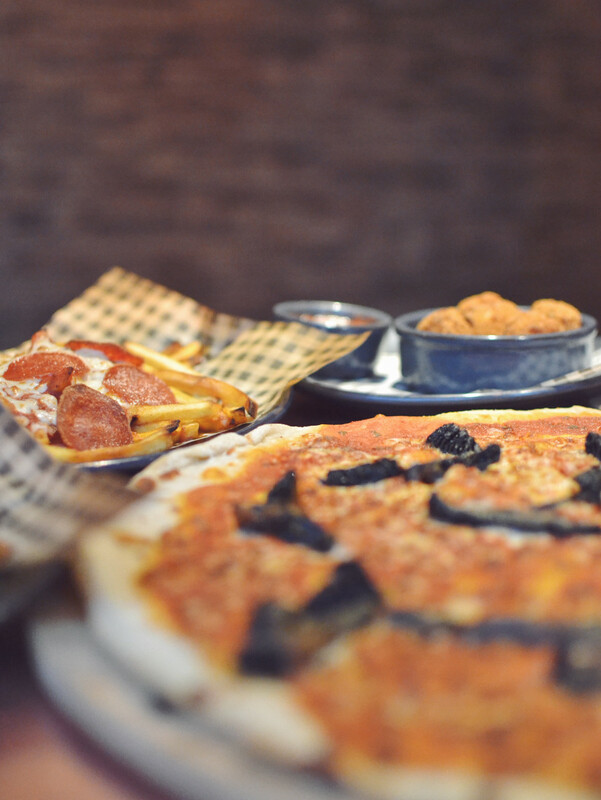 Perfect to pop into for lunch or dinner after a day in Manchester. 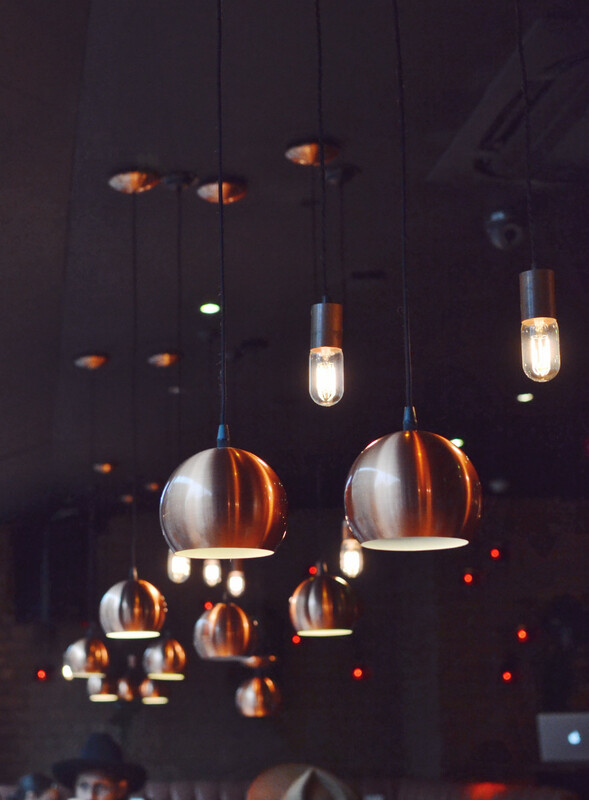 It's a really informal environment but with great interior - think leather, copper interiors and dark walls. We kicked off the evening with a few cocktails, well, Laura and Kate indulged in proper cocktails! For obvious reasons I was on the lime and soda and Rebecca was being good with a diet coke. The cocktails were apparently rather delicious and I can concur from when I've had them in the past. I'll be honest, we may have ordered a little bit too much... But we wanted to try out quite a few things from the menu because it all sounded delicious! 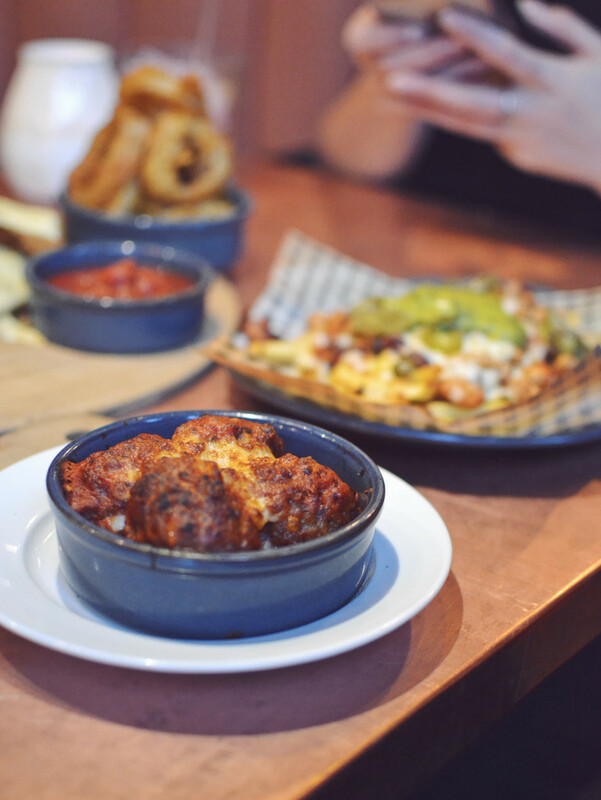 The new menu is stacked with sliders, pizza and, let's be honest, pretty dirty, glorious food. Think comfort food taken up a gear. 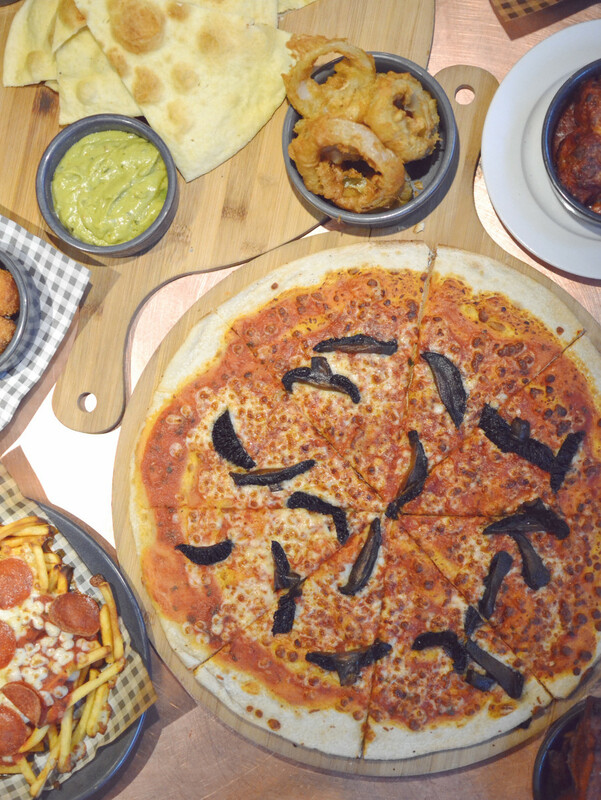 We tried quite a few bits from pizza to topped fries and mac & cheese balls to flatbread and all the naughty nibbles in between. The dirty fries were my favourite part of the meal, they're essentially fries topped with all of the goodness. 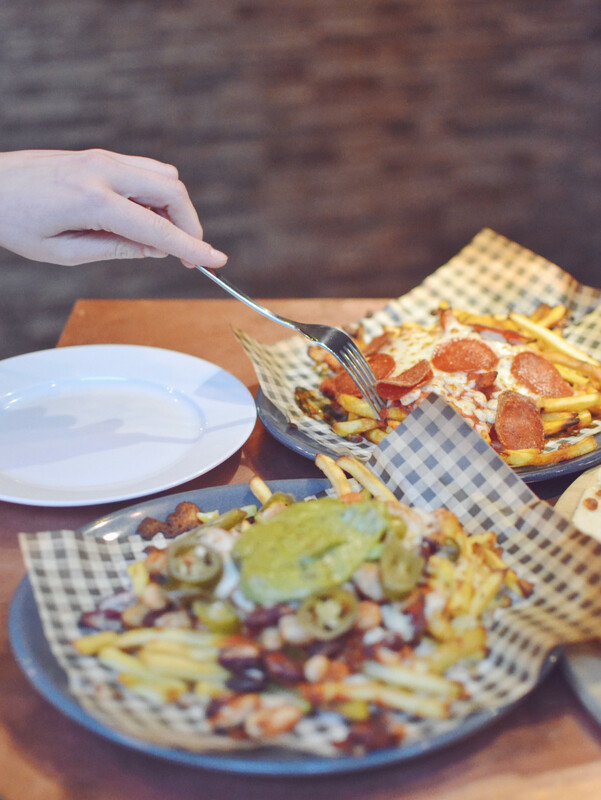 We tried out the pepperoni fries and the brand new spicy beans, mozzarella, jalapenos and guacamole fries, I ate the majority of the bean dirty fries and I have no regrets. They did go cold pretty quickly but that didn't stop me! 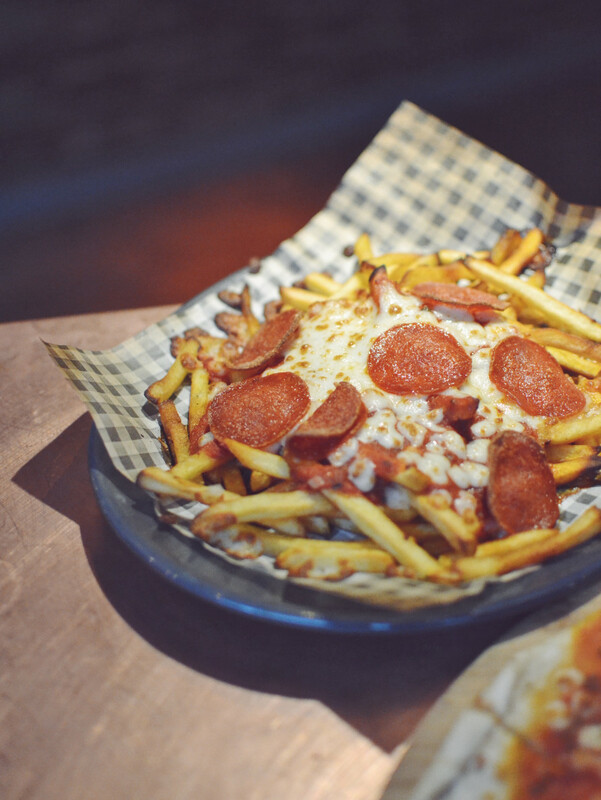 I wasn't as keen on the pepperoni topped fries as the flavour wasn't quite as good for me. The flatbread was one of my favourite parts of the meal too, it was so delicious, especially with the red pepper hummus and guacamole on the side, I'd really recommend these. The mac & cheese balls were good but I've definitely had better in the past. For more information and to drool over take a look at the menu, visit their site here. 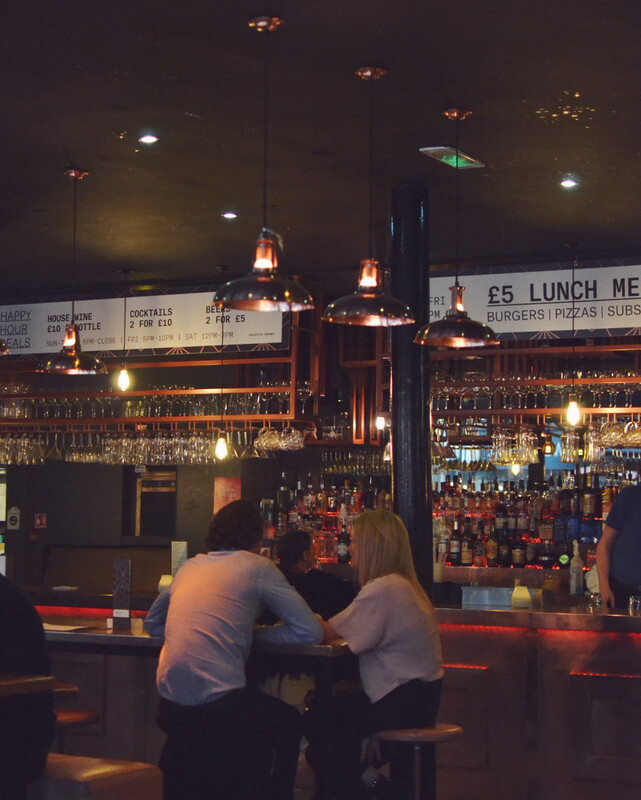 They also have pretty good offers including 50% off food on Sundays and prosecco happy hours most days, you can hunt these down on their website too. If you head to Walrus and have the doner kebab pizza, PLEASE let me know how it is, I'm dying to find out what it's like! *Our meal at Walrus was complimentary in return for an honest review.